Home » Community Safety » Canal Watch is Go! 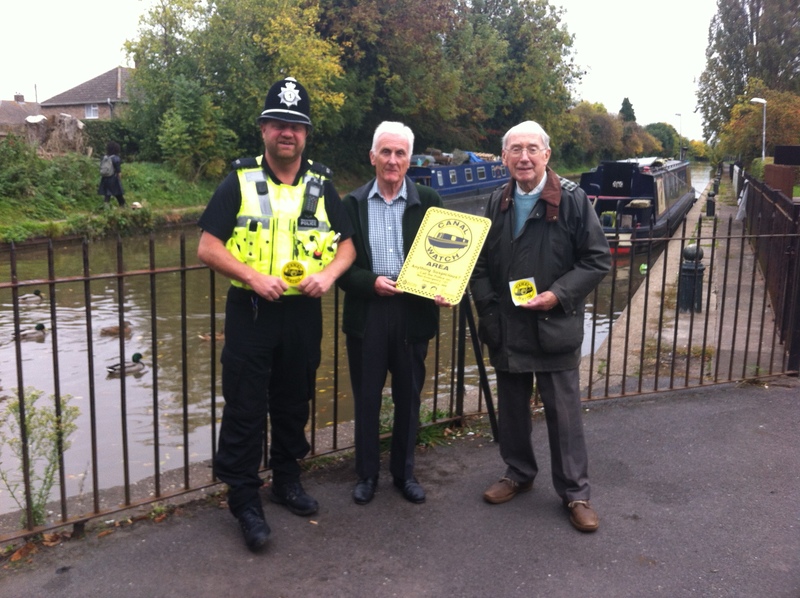 ‘Canal Watch’ is a collaboration that includes Warwickshire Police, Warwickshire Neighbourhood Watch, the Canal & River Trust and Warwickshire County Council Community Safety Team. Canals are essentially ‘water thoroughfares’ and their towpaths also provide quiet, often secluded routes for both cyclists and pedestrians. Crime does sometimes occur in the form of attacks on canal boats, or attacks on those using the towpaths. Canal towpaths can also be used by criminals as escape routes where they are less likely to be seen. Canal Watch is intended to provide a line of communication between general users of our canal system, those who live on it and people who reside adjacent to it, and Police and partner agencies. Police will also pass on information to members regarding crime linked to the canal system via their own and Canal & River Trust communication networks. The project is being coordinated by Warwickshire County Council but has been financed in the Warwick District by Mid-Warwickshire Neighbourhood Watch who have funded the design and purchase of signs and stickers which are an essential part of the campaign. Canal watch will fall under the umbrella of the Alliance ‘Waterways Watch’. Anyone wishing to join can do so at HERE and then clicking the ‘Work with Us’ link followed by the ‘Join a Watch’ link. Canal Watch falls within the ‘Waterways Watch’ group.